According to scientists, Earth’s magnetic field is collapsing and our planet’s poles are about to flip which could cause catastrophic events on our planet. The magnetosphere is a large area that encompassing our planet. It is time to start thinking about other things rather than Global Warming. Researchers warn we need to worry about our planet’s Magnetosphere. Earths magnetic field appears to be collapsing which could severely damage our climate and WIPE OUT power grids across the world. Located deep inside our planet, there is a massive molten core that generates a magnetic field that protects our planet from devastating solar winds. 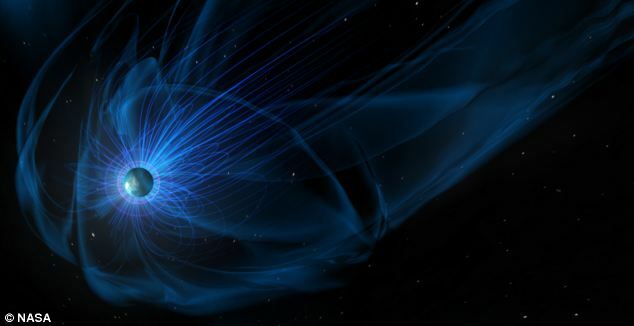 It is called the Magnetic Field and it has weakened by around 15 percent over the last 200 years say researchers. The magnetosphere is a large area that encompasses our planet. Its presence alone protects the planet from charged particles of the solar wind and deflects them around Earth. This enormous protective natural layer around our planet extends thousands of miles into space and its magnetism is so important and influential that it affects technology, lifeforms on the planet and weather patterns as well. However, things might change abruptly as scientists warn that in the last two centuries the magnetic field has weakened, suggesting that it could be a telltale sign that Earth’s poles are about the flip. While experts believe a flip is overdue, they still cannot tell when it might occur. If the pole switch does happen the entire planet and everything on it will become exposed to solar winds which could punch giant holes into the ozone layer which in turn could have a devastating effect on mankind. Catastrophic predictions suggest that if the planet’s Magnetosphere starts collapsing power grids could collapse, the weather would abruptly change and humans would have serious health risks. Scientists predict that among the most worrying things that could occur is that our climate would drastically change. Recent studies have linked ‘Global Warming’ to the magnetic field which may suggest that Global Warming is less connected to CO2 emissions than previously believed. The Earth’s magnetic field is generated in the very hot molten core of the planet. Experts maintain that our planet is going through a natural process of low cloud cover caused by fewer cosmic rays hitting the planet’s atmosphere. The most concerning fact scientists say, is space radiation. Experts predict that if the flip occurs (as it does every 2-300,000 years) around a 100,000 people could die from increased levels od space radiation. Radiation could be 3-5 times greater than that from the man-made ozone holes. Furthermore, the ozone holes would be larger and longer-lived,’ said Dr. Colin Forsyth from the Mullard Space Science Laboratory at UCL. Interestingly, by examining pottery fragments from ancient civilizations, scholars have managed to learn how dramatically the planet’s magnetic field has changed in the last couple of centuries. 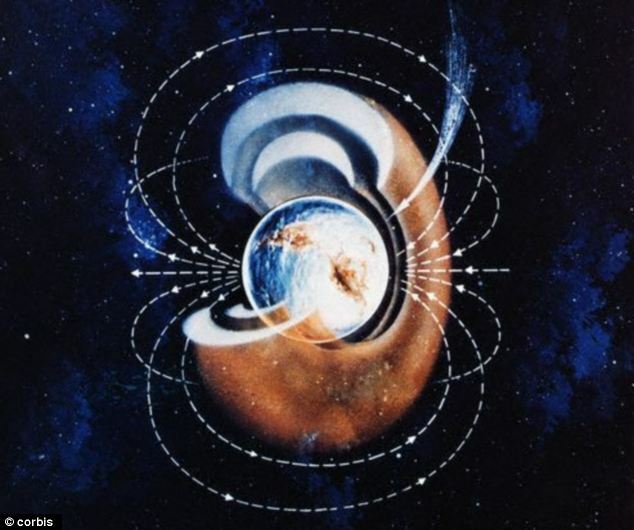 According to researchers, the Earth’s magnetic field is in constant movement and every 2-3 hundred thousand years or so the polarity of our planet flips. In the case that our planet’s magnetosphere continues to decline it is possible that in the distant future our planet could expect to look just as Mars looks today; a once blue and green planet stripped of its oceans and atmosphere incapable of sustaining life.